Do you know about RELIFE STUDIO FUTAKO, which opened in Futako-Tamagawa in Tokyo this March? 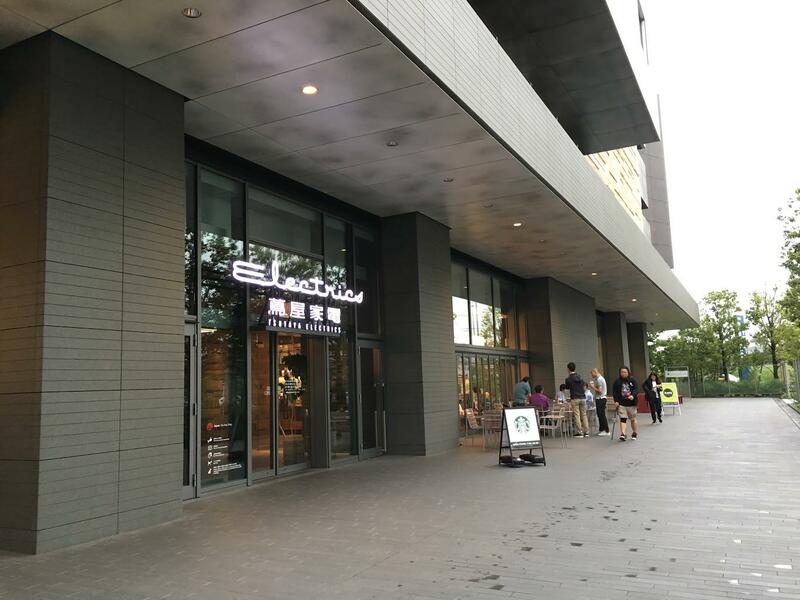 This is a lifestyle community studio located on the second floor of Tsutaya Electrics right by Futako-Tamagawa Station. 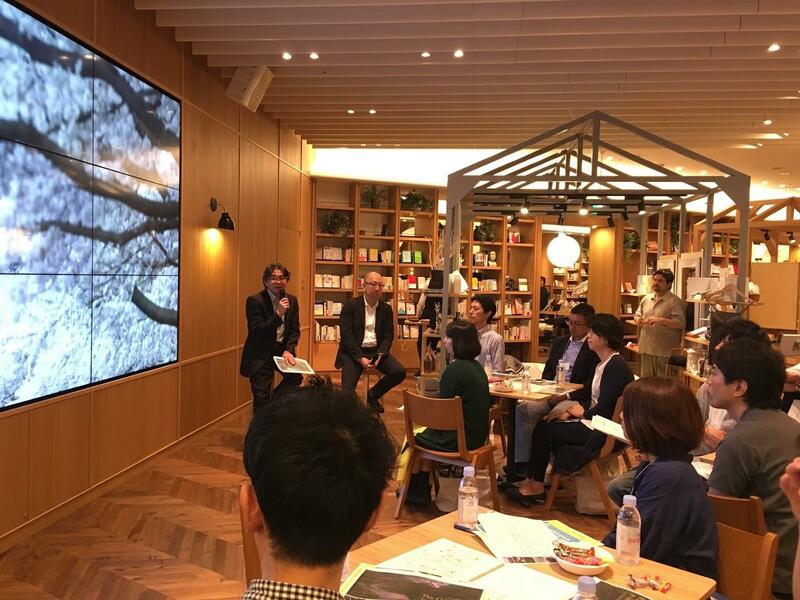 Recently, a series of ideas sessions was hosted at FUTAKO to consider "lifestyle richness and comfort." I attended this event, and through workshops and discussions with other participants, was able to make significant discoveries about the Ambient Media Player (AMP), a business idea which I am currently working to commercialize. Today, I would like to report on this event and talk about what I learned there. Going into this session, I was hoping to make verbalized discoveries about AMP. Up to this point, we have promoted our AMP project based on the vaguely shared values of "rich lifestyle" and "rich spaces." But I always felt that we needed to turn these values into something more tangible, because there was a lack of clarity surrounding the design for our actual services and the terms for our external collaborations, and this had even brought a sense of stagnation to the proceedings. This ideas session was an ideal opportunity to address the concepts of "lifestyle comfort and richness" that we experience every day but never truly stop and think about -- together with other participants in a workshop setting. Now that the event is over, I feel that I gained more from it that I had expected. It went beyond my original aim to make verbalized discoveries about lifestyle comfort and richness. I learned that this idea of "richness" that we all look for might be a simpler thing one might expect, and realized how important it is to shift from the position of "observer" to "player." The event saw number of participants, including various interesting guest speakers, invited for two days of discussions at RELIFE STUDIO FUTAKO on June 18 and 25, 2018. Before the workshops, I had my concerns if the theme "considering lifestyle richness and comfort" is too vague, and indeed whether an event split over two weeks would really catch the imagination, but once I got there, the sessions were full and everyone enjoyed taking an active part in the workshops. And once it was over, it was notable just how many people said they had thoroughly enjoyed themselves. The first session saw Toshiaki Narumi, who runs "Fukasawa no Daidokoro (Kitchen of Fukasawa)," speak about lifestyle richness and comfort. Mr. Narumi is part of a nuclear family, with both parents working as they raise their children, and felt a strong need to create spaces in which everyone could feel secure. This led him to focus on the challenge of the "Daidokoro (kitchen)" as a living space. In his talk, he introduced a key catchphrase -- "from audience to player." This was originally borrowed from the mayor of Setagaya City in Tokyo, who called upon individual residents to be players rather than bystanders in terms of building the local community. Mr. Narumi's talk suggested that this concept applies not only to communities, but also to creating richer spaces in general. The guest speakers for the second session were Takuya Arisawa and Masato Fujii, who run a community activity called "The Odyssey of TAMA RIVER." The two men have filmed the sceneries and seasonal sights brought by the Tama River for years, a natural urban river that flows through the cities of Tokyo. Their work is designed to leave a message to future generations, and to encourage the incorporation of the Tama River's vast waterside environment into our own lifestyles. Many participants spoke of a sense of relaxation around the river, and I too felt real inspiration from the workshop that followed. The entire workshop was designed as a program for participants to crystallize and verbalize their own thoughts after input from the guest speakers. Participants could share and verbalize their own individual feelings on richness and comfort, and bring visual graphics or videos into the overall discussion. Finally, participants were divided into teams to create pictures expressing scenes in which they could feel richness and comfort. At the end of the workshop, there was an activity to create pictures depicting our feelings of comfort. Each group brought together the things they had discussed in a visual format. There were three main things that I discovered at this workshop. The first was that, surprisingly, nobody had consciously thought about richness before; so when we do stop to think about it we can make many discoveries and, by verbalizing them, even make new friends as well. Richness and comfort are things that we desire unconsciously, yet all the participants -- myself included -- said that we had never really thought about these things consciously. Even the guest speaker Toshiaki Narumi offered this feedback: "I realized that I had never actually focused on this intangible concept of richness before, and the things I have thought about today are things I can now use in my work." This was the moment I too realized that verbalizing our thoughts can bring new discoveries, and new friends who can share in your ideas. The second was that there is already a subtle richness, as desired by so many people, hidden inside our daily lifestyles. In our AMP project until now, we have been strongly focused on building something creative, something special, but in this workshop I realized that true richness and comfort comes in things are much more a normal part of lives. Having people of a wide range of different specialties and backgrounds talking so openly in this workshop was, I feel, key to this realization. It was particularly eye opening to have such variety in ages and skills, with some participants working in video production or other creative fields, some space design specialists, others involved in local community work or government, and some students from university. The workshop featured a mixture of participants with different specialties, and every team engaged in friendly, harmonious discussions. The third discovery was how important it is to shift our thinking from "observer" to "player" when it comes to creating richness. I realized that we can only create something truly rich when we are prepared to think and act for ourselves, rather than being passive and simply relying on others. This event allowed us to verbalize what we desire in richness, and crystallize more what we are trying to achieve through AMP. I have starting looking at things through a new perspective and felt we might need to make our platform more flexible so that anyone can shift their own position from "audience" to "player." To this end, I have already begun a process of trial and error. I will continue to deploy these keywords of richness and comfort and the things I have learned from considering them with the other participants so that we can "create things together" going forwards. At the end of the workshop, I was able to show the AMP on display at FUTAKO to the other participants. It was very pleasing that participants who are involved in various creative activities themselves expressed the desire to be involved in the AMP project in some form too. I have been in contact with people I met at the session since then via email and Facebook, making the overall opportunity all the more valuable. I also showed an actual model to other participants. This event underlined the importance of co-creation, and I plan to hold a number of different events in future and bring our AMP to more people. I hope many of you reading will come along and take part. I am also available to answer your questions and inquiries at any time. Please contact from here. If you want to learn more about our AMP world view, please do visit our official website. Ambient Media Player - Light up and Color Your Life.